That might change in the coming years. 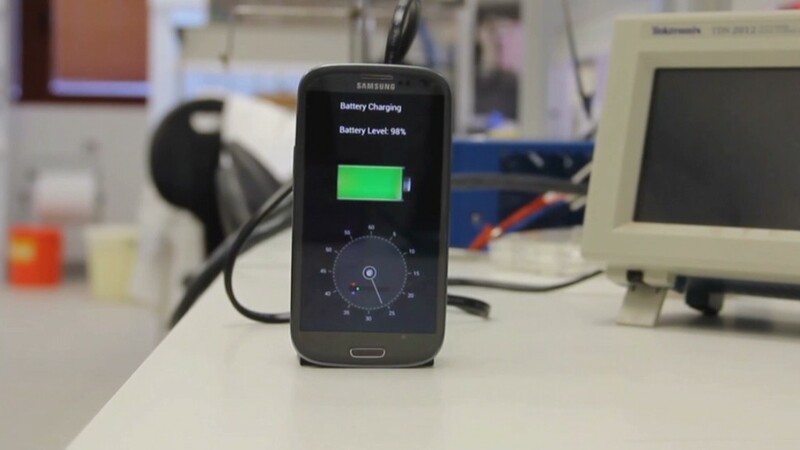 An Israeli company has posted a video to YouTube with the prototype for technology that can charge a cell phone battery in just 30 seconds. "During that research, specific amino acids were isolated and we managed to use those amino acids and peptides to create nanocrystals," said Doron Myersdorf, founder and CEO of StoreDot. "These have special properties that enable us to use them in various devices, such as a battery." Not only does StoreDot's battery charge quickly, it actually continues to charge once you've unplugged it from the outlet, according to Myersdorf. The challenge now is to make the technology small enough to fit inside today's smartphones. The battery featured in in the video is about the size of a cigarette pack. Related: How much is your cell phone tax? The company hopes to have a "commercial-ready prototype" within two years and shortly after have a product on the market.